Current stakeholders and prospective investors will be thrilled to know that Nkomati Anthracite has been successfully redeveloped by Unicorn Capital Partners (formerly Sentula Mining). “These are exciting times for us at Unicorn Capital. 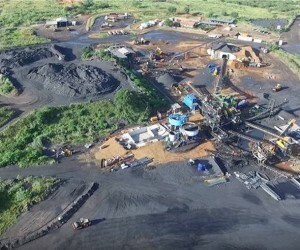 Besides the 150 Million Rand used to build a brand new 90,000 tons per month run-of-mine wash plant, we’ve invested more than two years of planning and diligently working through various stages to get Nkomati Anthracite back on track and functioning at optimum level,” says Unicorn CEO, Jacques Badenhorst. It’s been a while since any of South Africa’s anthracite mines have attracted fresh capital and enjoyed significant expansion in mining activities. Investors need to take note – with full scale operations commencing at the end of March, this mine has the potential to deliver a substantial portion of South Africa’s anthracite needs over time. In addition, and compared to other mines, Nkomati’s anthracite is of a particular high grade due its low level of impurities and high levels of fixed carbon (up to 86% and more). According to Badenhorst, quality anthracite resources that can be used in the Ferro metals industry are rare. The redevelopment of Nkomati Anthracite not only comes as good news for stakeholders and possible investors, it’s also exactly what local rural communities have been waiting for. Following a ground-breaking agreement, Nkomati shareholders granted three affected communities a 16.1% equity stake in the mine at nominal value. The agreement puts an end to ongoing tensions between the mine’s owners and the communities of Kwalugedlane, Matsamo and Mawewe who live on tribal trust sections of the land. In redeveloping the mine, for Unicorn Capital it was just as important to also address concerns these communities had. Subsequently Unicorn amicably resolved all long-running disputes and met each and every one of the promises made to them. “We simply had to empower them and involve them in the decision making process. For mining companies in particular, it’s become critical to gain and maintain their social licence to operate within communities. 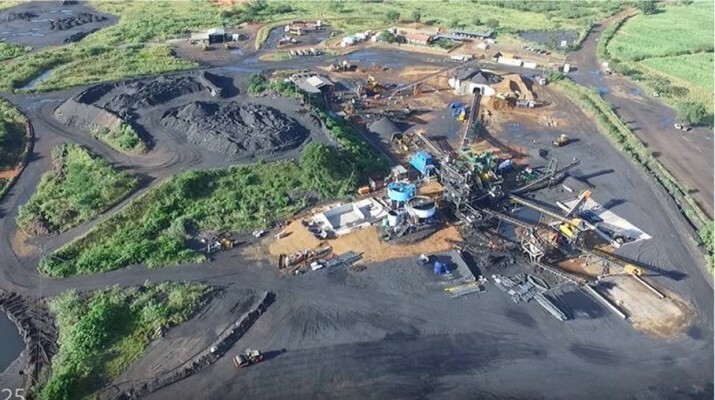 Furthermore, the expansion and redevelopment of Nkomati Anthracite have already created in the region of 400 jobs over the past two years,” says Badenhorst. In addition to the 16.1% stake owned by the communities, The Mpumalanga Economic Growth Agency (“MEGA”) owns a 34% equity stake in Nkomati. MEGA plays an important strategic role in the area and Unicorn Capital is proud to have MEGA as a partner in developing the mine. Nkomati Anthracite currently has in excess of 8.7 million tons of proven resources. The exploration drilling program that was recently initiated is expected to increase the life-of-mine in excess of fifteen years. That which adds a spring to any miner’s step is the promise of what still needs to be unearthed, in other words, that which the eye cannot see, and the mind can only imagine. Under its current mining rights, Nkomati also has this huge tract of untouched land to be explored. “Whilst we’re not basing any unreasonable hope in this unchartered underground section, an initial pre-feasibility study on the overall Nkomati site indicates that positive returns would be achieved if we boost operating levels. Time will tell with this unexplored tract though; yet for now we’re all excited at the prospect of what we’ll find,” says Diana van Buren, chief geologist at Unicorn. South Africa’s mining sector has shown little or no growth for decades, falling from representing 13% of our GDP in the 80s to a current low of 7%. Some have even made the comment that theindustry is past the point of no return. According to independent economic risk consultant, Rob Jeffrey, the issue is not just one of decline, but also concerns the loss of skills, intellectual capital, infrastructure and, in particular, poor organisational and planning ability at government level. One offshoot is that mining companies are turning to other countries that are more investor friendly and more open to ideas for development. This reality might however change soon. In his recent State of Nation Address, newly elected President Cyril Ramaphosa said that South Africa’s mining industry ought to be a sunrise industry, rather than the sunset industry it’s become. He subsequently promised to intensify engagement in the sector and to ensure that it’s truly and effectively an instrument to sustainably transform the face of mining in South Africa. It therefore appears that the launch of a redeveloped Nkomati Anthracite comes at just the right time. This could very well be a symbolic moment representative of a new growth initiative our mining industry so desperately needs – one which will attract new investment, create jobs, and embrace a path of transformation and sustainability.